BRYAN EATON/Staff photo. 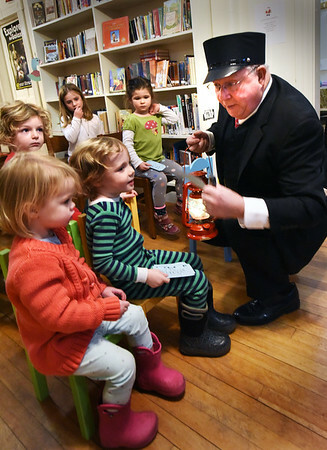 "Conductor" Donald Roberts clicks the tickets of children who appeared for the Emma L. Andrews Library's first Polar Express event on Thursday afternoon. He read them the story and then they got to drink hot cocoa and cookies at the Newburyport community center.